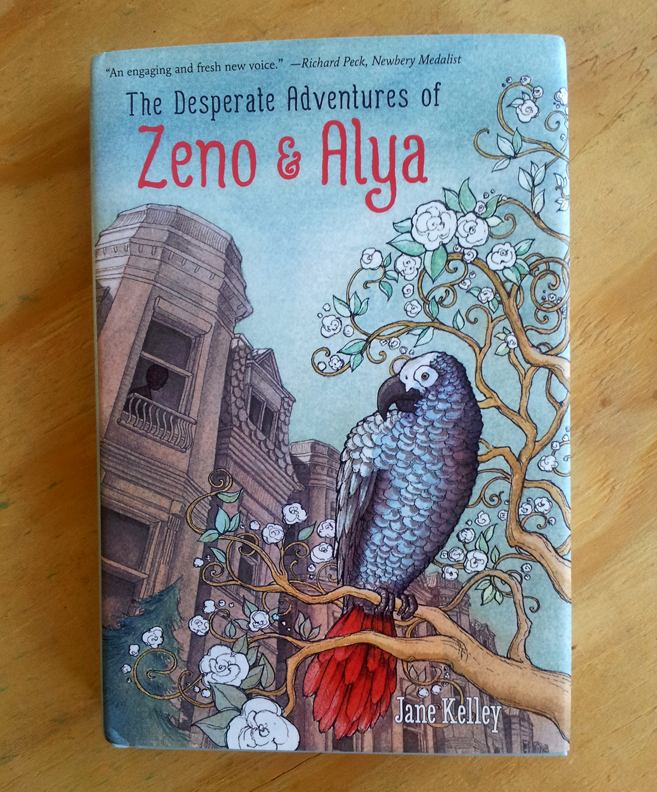 I created artwork for the cover of a sweet and emotional middle grade novel, The Desperate Adventures of Zeno and Alya, by author Jane Kelley, released earlier this Fall. 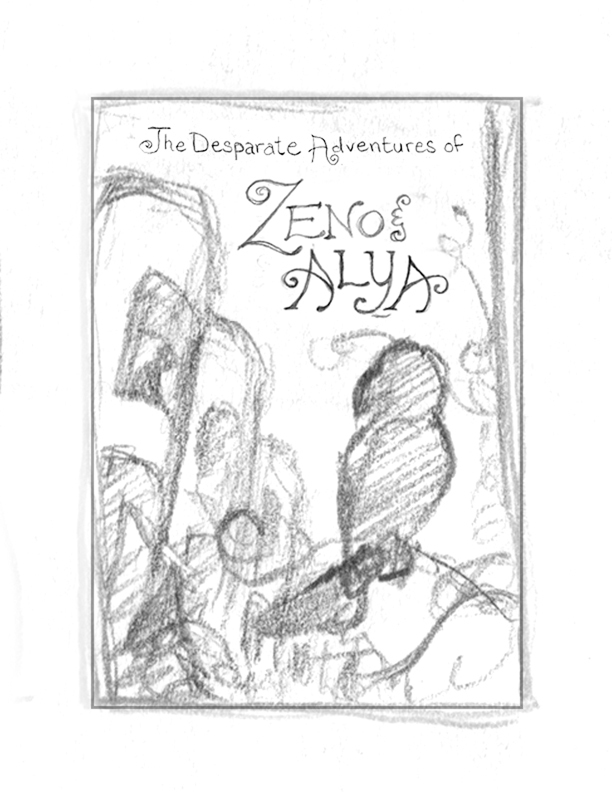 The book goes between two characters’ stories: Zeno, a newly orphaned parrot, and Alya, an 11-year old girl struggling to recover from leukemia treatments. Jane Kelley’s story is beautiful and heart-felt, and I wanted the cover artwork to convey the emotional quality of the story within. 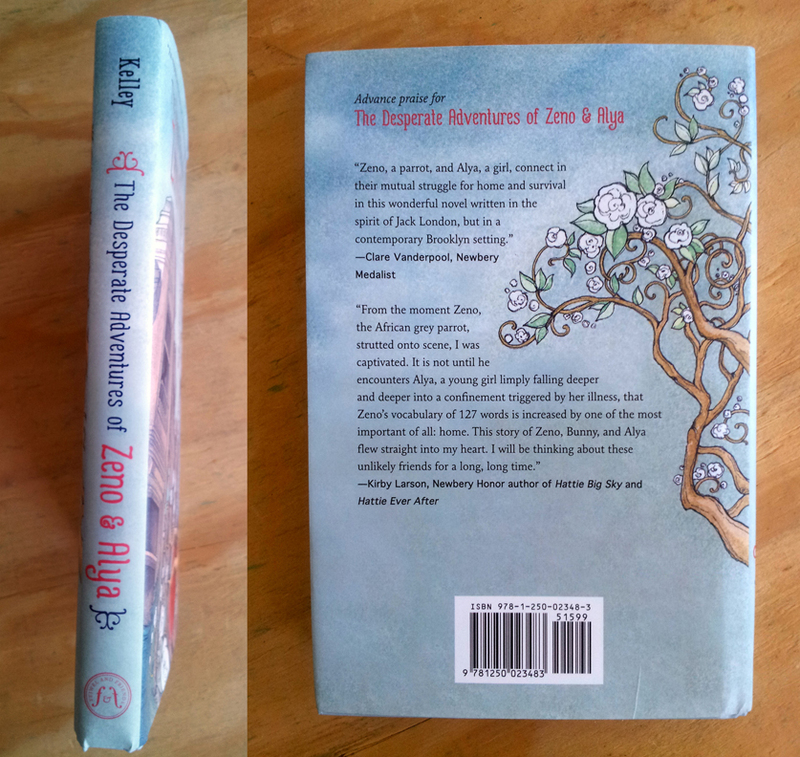 The book design, by Ashley Halsey, is so lovely. 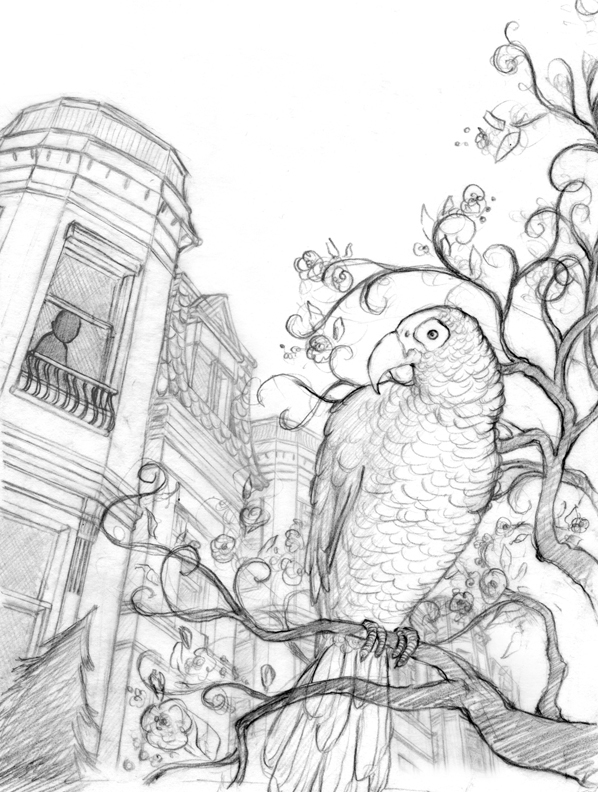 A little behind-the-scenes, here’s the original rough thumbnail and then the sketch. This was another project that came out of my 2012 SCBWI winning trip to New York, where I had a portfolio consultation with Liz Szabla, editor in chief at Feiwel and Friends, an imprint of Macmillan. As my husband and I were looking for the address on my way to the meeting, we stopped to take pictures in front of the famous Flatiron Building. We continued to search everywhere for the Macmillan address all around the buildings nearby, and I was getting flustered that we couldn’t find it anywhere. 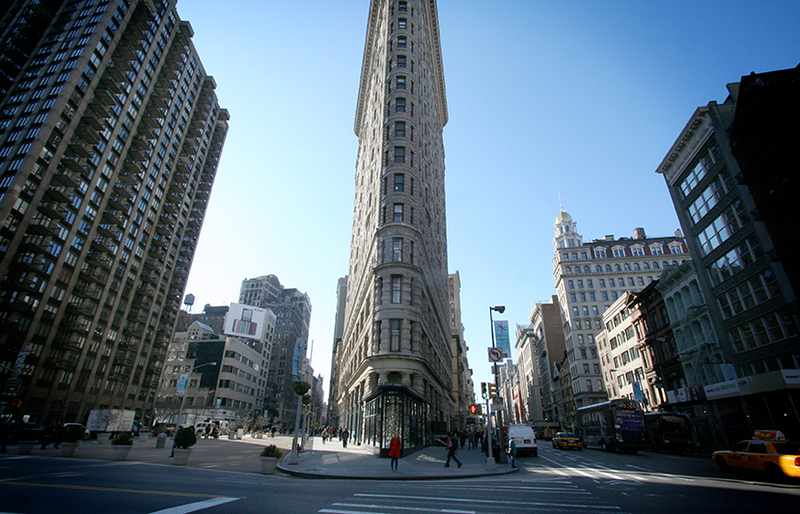 We finally realized that Feiwel and Friends was actually inside the Flatiron Building. I was delighted to be able to enter and do business in this iconic New York spot! Working on the artwork with Liz Szabla and creative director Rich Deas was a joy and a breeze. Thank you to Jane Kelley and Feiwel and Friends! Here is a story that will remind readers how navigating so many of life’s desperate adventures requires friendship and, above all, hope.